Aero Rental Services customers enjoy one stop shopping. Our rental technicians keep abreast of equipment available from all services and should our present inventory not provide a specific piece of equipment, we then have the capabilities to find it for you. 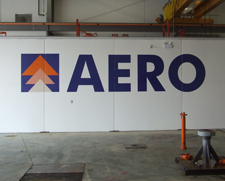 All Aero Rental Services equipment is serviced or repaired to meet or exceed OEM specifications prior to the next rental. 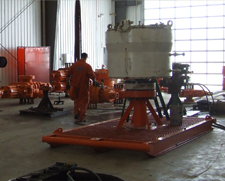 These inspections are completed at our Red Deer facility which has a complete B.O.P , Accumulator, and Power Swivel service bay, handling equipment inspections and service bay complete with an Alberta OH&S certified paint facility. This coupled with experienced and trained service technicians provide you, the customer, with quality rentals and the best possible scenario for a trouble-free environment at the work site. In the event problems do occur with any of our equipment, our infield service technician, with OEM on call back up, will respond to the problem area immediately. Our "one-stop-shop" approach to business means we'll locate whatever quality equipment you need. We'll back it up with 24/7 service and provide technical support with specialists who know the business and have "first line blow-out prevention" experience. From rig-up to rig-out - and everything in between - AERO Rentals is your single source equipment provider.